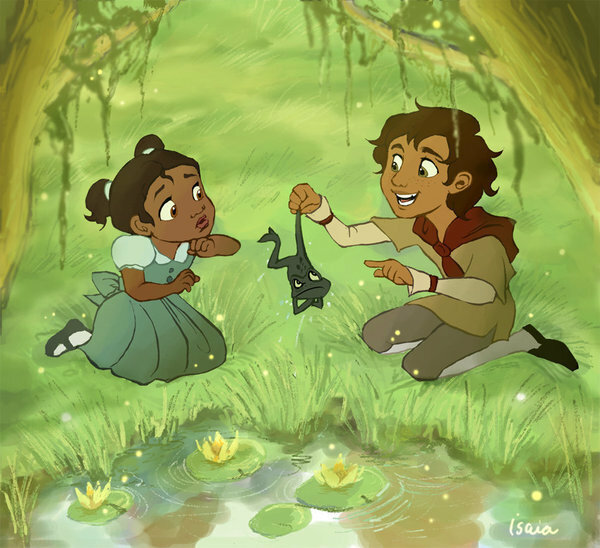 Tiana and Naveen as kids!. . Wallpaper and background images in the Диснеевские принцессы club tagged: princess tiana naveen. Naveen: See what the frog is covered in? Naveen: It's actually MUCUS. Hahahahahahaha!